On many levels it seems almost pointless to write yet another text on Aufhebengate, especially a review about a book on the scandal and the controversies and collaboration-sympathizing that occurred in the vain, and inexplicable, attempt to defend John Drury from his own actions. Usually interpersonal issues point more to the poverty of the militancy and viability of certain circles of so-called “radical scenes” than anything of consequence. In these cases I would usually not waste my time writing a critique of a second-rate academic who writes for a generally obscure, though in the past sometimes interesting, journal. 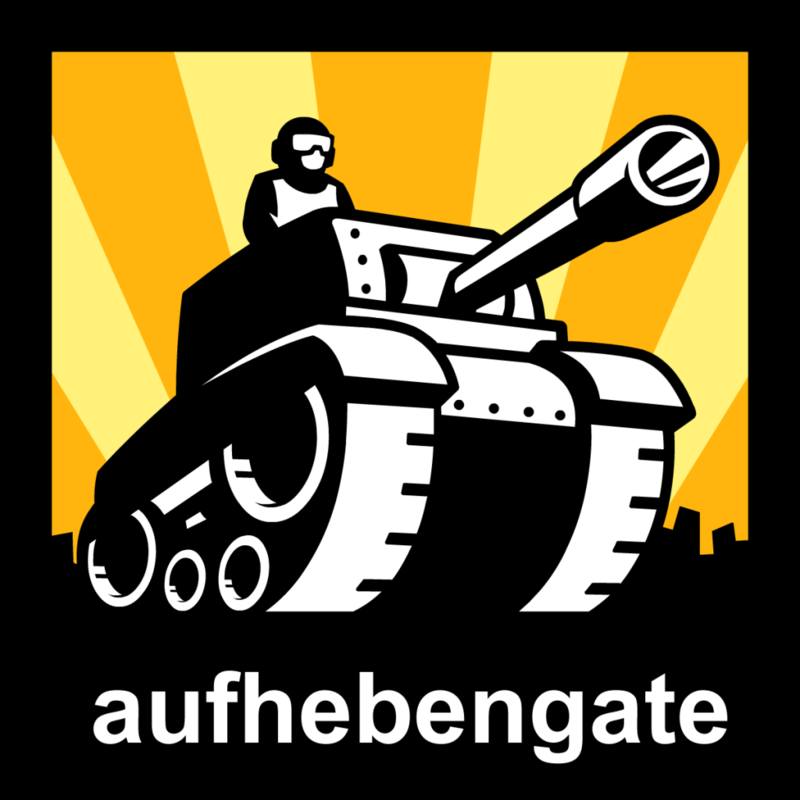 However, the case of Aufhebengate raises issues, both of the stakes and risks of insurgency and the tactics of writing, specifically writing on operations theory, that absolutely need to be addressed; and, on a separate note, there is absolutely no such thing as calling out a collaborationist too often. But, before getting into the critiques of Drury, his betrayal and the numerous tactical and political problems involved in this controversy, it is probably important to first explain, for those that have not been a part of this discussion already, some of the events that have occurred and some of the players involved. In January 2011 a small Greek radical group, TPTG, discovered that Dr John Drury, an editor with Aufheben, a supposedly militant left-communist journal, had been a part of a team of researchers that were publishing articles in police journals, and giving presentations at police conferences, centered on police crowd control tactics and possible ways that these can be improved through de-escalation and proto-counterinsurgency tactics. For obvious reasons, the group found this information to be disturbing, to say the least, and decided to contact people in England, where Aufheben is based, with an open letter discussing what they found and presenting some of this information. Many of us would think that the response should be relatively straight forward at this point, Drury should have been outed and prevented from coming into anarchist spaces, but then we would be mistaken. Rather than identify a clear case of collaboration as such, the “left-communist” milieu in England, specifically the rest of Aufheben and the admins at Libcom, began an increasingly absurd campaign to attempt to rationalize these actions, going as far as to censor discussion on Libcom to prevent the information from spreading. After receiving little response from others in England TPTG decided, along with the help of some others, to post the open letter, and accompanying information, onto the Libcom discussion forum. After the initial post was censored by Libcom another, more detailed, piece titled “ The Strange Case of Dr Johnny and Mr Drury” was posted on Libcom, and sent personally to some others active in the left-communist/anarchist scenes in England, setting off a firestorm of attempts to incriminate and discredit the authors of the piece and the claims that they were making. Through a series of confrontations, and a series of rewrites, this text became Cop-Out, which has now been republished and distributed by Little Black Cart. The importance of Aufhebengate is not just that John Drury is a collaborator, or that there even needs to be another text espousing this position, which seems clear to many. Rather, in the process of this scandal becoming public, and widening in scope, a series of other, more fundamental, problems with the practices of some segments of the radical milieu have become clear. This is not a question of social drama or political affinity, rather, this incident comes to illustrate an almost complete inability on the part of some so-called “radicals” to understand the stakes and risks involved in insurgency, and a seeming inability to even think of themselves in this light, choosing, seemingly, to regress back into the roll of activists1. This points to an almost complete unwillingness to understand what we are in the midst of as warfare, as something that is immediate and tactical, and something in which tactical imperative trumps personal affinity and social nicety. We also cannot think this as a problem confined to the horrendous decaying corpse of British left-communism, these problems persist in the States as well2. The purpose of the discussion around this controversy is not just to write another critique for the sake of critique, but rather, it is to be able to discuss the failures that occurred, the reasons for some of these failures and illuminate ways beyond this seemingly irrational impasse. In the text Cop-Out: The Significance of Aufhebengate, Sam FantoSamotnaf, departs from the point in this saga after the attempts by Libcom to censor the discussion of the collaborationist tendencies of someone that they consider a “friend”, and focuses largely on the resonance of these discussions and the illustrative role that they can play. On many levels the text is thorough, and engages with a series of important discussions linked to the overall situational framework that is being discussed. But, this winding discussion never becomes a coherent, linear, critique of Drury and his practices, largely existing as a series of vignettes about differing questions raised through the existence of Drury within academia and the failure of the politics of Aufheben and Libcom, with the controversy around Drury serving as the point of departure for divergent narratives and critiques. This structure creates a text that both reinforces, and at sometimes, undercuts its own narrative. In the non-linearity of the text, and in the ways that the narratives depart from a central point of reference, the narratives, at points, become disconnected from one another, while at the same time allowing the author to cover a lot more ground and approach the situation from a variety of angles. Of these vignettes some are much more well argued than others, some seem to cover old ground, such as a critique of Leninism, and some are structured around the attempt to speak about Drury’s internal motivations, deriving from a structural critique of academia and the positionality of the academic, which is not necessarily the relevant question here. But, at most other points, this text begins the process of moving beyond the recriminations and accusations, and into a critique that can actually point to the conditions that created this sort of collaboration, as well as ways beyond this impasse and recurring problem. In the structure of the text itself the author avoids the attempt to write a linear critique focused on Drury himself, which would be a useless, though tempting, endeavor. This is not to say that a thorough critique could not be written about Drury and his collaboration with policing, but this would almost be too easy, and would completely miss the point3. In centering a critique on Drury one would fail to set the stage to move beyond Aufhebengate and point to the parameters and shape of an insurgent tactical discourse, which can only exist as the inverse of Drury’s work. At its best Cop-Out accomplishes this through some well placed, well aimed, critique, while at its worst, there is a tendency within the text to collapse the argument into interpersonal irrelevancies, at least irrelevant for those outside of England, and minute theoretical criticisms. However, it is this structure of the text, for as inconsistent as it is at points, that can allow for these shortcomings, while at the same time highlighting the importance of the underlying critique. The relevant question here is not about Drury’s motivations, or about his class position or something like this; rather the primary question raised here must center on positioning Drury’s work in reference to various dynamics of conflict in order to build a critique that can begin to identify a practice and discourse of radical intervention and tactical analysis that can avoid being of use to the “enemy”, and specifically avoids intentionally aiding the “enemy”. The fault in Drury’s work is not that he decided to write about police operations and operational theory, this is a needed discourse in the midst of insurgency. The absolute, total, failure of Drury’s work lies in failing to situate this work tactically in itself, as something that has effects in a material terrain of struggle. Central to the discussion around Drury’s collaboration is the question of the positionality of the writer and the act of writing, and publishing in itself, which becomes specifically important in the attempt to write on operational theory and tactics analysis, which if not done intentionally, with a direct political and tactical objective, can come to betray its own intent easily. In the most powerful points in the text this discourse rises to prominence, critiquing Drury’s collaboration and pointing to the discursive possibility of a discourse on the immediate dynamics of conflict that situates itself tactically, as an uncompromising site of struggle in itself, while also attempting to amplify the dynamics of that conflict. Throughout this text, and this review of this text, the focus is placed on this question of the positionality of the writer, specifically the tactics analyst, and the role, and possible pitfalls, of this discourse. As such, we will be working around some of the more interpersonal content and conceptual critiques of “left-communism” that appears in the text, and much of the controversy around the defense of Drury by Libcom and Aufheben4, while focusing on the aspects of the text relevant to the opening up of a space for a secure, intentional, insurgent discourse on tactics and operations. It is only by highlighting, and focusing on, the deficiencies in Drury’s writing practice and conceptual categories that we can move beyond the question of whether Libcom and Aufheben are supporting collaboration (they are) and into a discourse that can point our way to developing a more coherent, secure, intentional practice of insurgent tactical analysis and operations theory. As such, we will be focusing here on two primary elements of the critique deployed in Cop-Out that are relevant to the attempt to develop an insurgent tactical discourse, the critique of Drury’s work on a conceptual level and the critique of the writing and publishing practice involved in this scandal. The background of Drury’s work goes back to research that he carried out on crowd psychology, as a faculty member at Sussex, with a team of researchers led by Clifford Stott, a well known British crowd analyst and police consultant. This research led to a series of papers published in Jane’s Police Review, among other journals, primary among these is a text titled Chaos Theory5, as well as presentations at police conferences and invitations to train police intervention teams to decelerate conflict at demonstrations. Their research focuses on two aspects of current police tactics, the theoretical basis in crowd psychology and the tactics that derive from this, with a specific focus on British police, and particularly the often-used tactic of kettling6. The primary claim in their literature is that police tactics, as they exist today, are based in a flawed concept of the crowd as unitary and dangerous, and therefore a body that must be dealt with antagonistically. Rather, Stott and Drury argue that crowds really have a series of factions within them, some more confrontational than others, and these factions of the crowd can be identified through the use of a police liaison team, which infiltrates the crowd in full uniform and attempts to identify the non-reconcilable elements within the crowd, then develops a strategy to contain and eliminate these elements while reducing confrontation with the remainder of the crowd. The goal of this operational set is to attempt to build trust within a crowd, segment off elements of the crowd that may erode this trust, and begin to foster an environment in which the crowd begins to police itself. Though Drury’s defenders attempt to pass this off as a more or less paternalistic attempt to engage in a liberal mythology of policing as potentially nonconfrontational, this attempt points to the inadequacies latent in much of radical tactics discourse, specifically when addressing questions of police and policing, which tend to be viewed as unitary conceptual objects framed through the inscription of qualitative indictments, such as police brutality and police racism. This language of nonconfrontational policing, or policing that does not attempt to confront inert and harmless elements, directly mimics the language that many liberals use when attempting to defend community policing or counterinsurgency. This defense derives from the language in Drury’s work itself, which directly mirrors the language of counterinsurgency doctrine, specifically in Chaos Theory. To understand the relevance of this linguistic affinity it is necessary to understand the role that increased projection of force and the deceleration of conflict play in policing logistics. First, I should specify, all policing is an attempt to operate a certain sort of counterinsurgency; all policing is the attempt to operate a logistics of force in the attempt to impossibly define particular moments, and as such, only functions to the degree that it operates across the entirety of time and space, in all moments, as occupation. Here, though, the term counterinsurgency will be used in reference, specifically, to modern forms of counterinsurgency doctrine developed in the early 2000s within the US military, primarily through the work of David Petraeus, and its influences in the post-World War II world. Rather than an institutional reading of policing, which requires us to obscure actual police operations in the attempt to portray police as a legible conceptual object, policing only functions to the degree that it is deployed as a logistics of force in time and space, and therefore, must be analyzed through the lens of warfare, or a direct, immediate, material dynamic of conflict in time and space7. In thinking the police through the lens of more or less brutality we reduce policing to an ethical question, which of course has to assume a policing that can be ethical. As such, the problem, at the minimum, in Drury’s work here, and its attempted rationalization, is not that Drury may have been acting in a paternalistic way, but, rather, in engaging in the discourse of more or less brutal policing, his analysis necessarily departs from a framework based in the continued existence of, and therefore non-rupture, of police logistics, reducing police operations to an ethical question of more or less brutal police operations. As we see in insurgencies, and counterinsurgency literature, there is always this discourse of the speed and multiplication of conflict in time and space. This discourse departs from a series of sources, primary among these are Clausewitz and Mao, but also military theorists like Galula and Petraeus. In On War8 Clausewitz directly positions warfare within time and space, as something that occurs, and therefore, as something that is completely uncertain. When we think the terrain of a demonstration, riot or armed confrontation, we are not just thinking the physical space or the numerical collision of magnitudes of force; rather this entails thinking these elements, but also the actual actions that occurred, to the degree that these can be mapped, the movements of force through space and the dynamics of collision itself. As such, the discussion of terrain has to not only center on physical space, in the sense of mapping, but also the ways in which this terrain is constructed through the dynamics of antagonistic actions in conflict and the effects of these actions. Tactical terrain, at this point, only becomes relevant to the degree that there is actual conflict in space, and there is necessarily a certain concentration of conflict in all space in all moments, and marks a point of unpredictable uncertainty, that becomes more so to the degree that the terrain becomes a site of concentrated conflict. This conflictual terrain becomes difficult to predict movement through, requiring higher concentrations of force and limiting projection. This is what we see often in street conflicts in the US, where the police tend to move in large groups, using heavy concentrations of force, while attempting to limit the amount of space that they have to cover. There are two elements here that are of primary importance when thinking of Drury’s work in relation to insurgency and policing, the speed of conflict and the projection of policing. As Mao9 and Galula10 argue, insurgent conflict can be mobilized at any point to the degree that insurgents can maintain the ability to move, and can do so invisibly. This generates an absolute multiplication of the terrain of conflict, in the sense that, all of a sudden, the occupiers have to begin to take a defensive posture in all movement through all space; uncertainty generates a terrain of almost total potential conflict. As such, the primary task of occupiers is to both segment off movement through space, through policing, while also projecting their operational capacity into space11, through the use of informants, surveillance and “self-policing”. In Iraq, the first large-scale counterinsurgency operation of the 2000s, this involved a series of attempts; primary among these was the establishment of a network of sympathizers who received benefits for collaboration, the identification of irreconcilable elements, and the separation of these elements from the space being secured. This same mentality also appears in post-1968 negotiated management police tactics utilized in the US, aptly described by Kristian Williams in Our Enemies in Blue12. In negotiated management operations police attempt to identify sympathetic elements and begin to work directly with these elements, allowing them space to take action if the terms are negotiated directly with the police, while repressing elements that refuse to collaborate. We saw this play itself out during Occupy, where police collaborators in many cities were giving the police information on possible actions, without anyone else being aware of their activities, in exchange for the ability to “prevent repression’, which of course came anyway; in Pittsburgh we learned that a person named Carmen Elliot was giving information to the police about anarchists in order to guarantee that he would be able to have a march for universal healthcare, information that was then used to brutally repress anarchist actions throughout the winter of 2011 and into the summer of 2012. Counterinsurgency is based on attempting to limit the speed of conflict while maximizing the projection of policing through space. In attempting to police space, police logistics have to function in all time and space, but this quickly collides with a dual impossibility13. The first, and primary, of these impossibilities is purely numerical; there are not ever enough police to cover terrain completely. Take a city like New York, which has tens of thousands of police; this number is not nearly enough to actually cover all space simultaneously. As such, police logistics are largely based on the attempt to project throughout space. This, historically, has been achieved through the combination of four different technologies in modern police operations; transportation, communications, weapons and surveillance. Through the use of the combustion engine police were all of a sudden able to move through space quickly, and disperse across space widely. This ability to project the body through space at speed was amplified through the addition of the prosthetic weapon, allowing the force of the police to project outside of the reach of the arm to, with the advent of the conoidal bullet and the bullet cartridge, project force almost directly correlated to line of sight. Police dispersal became organized through the addition of radios in patrol vehicles, allowing police to disperse further while also coordinating response autonomous from dispatch, making response quicker and more forceful. Finally, with the addition of surveillance, and by surveillance I mean signals intelligence, human intelligence and visual surveillance, the vision of the police is able to increase and become more and more comprehensive, being limited primarily by the capacity to process information, rather than the ability to collect it. But, even at this point, policing still is unable to cover all space at all moments, necessarily leaving gaps in coverage, gaps which are amplified to the degree that the terrain is increasingly resistant to police movement and operations. In this attempt to project through space policing necessarily generates conflict; it is comprised of a series of more or less coordinated actions that occur in time and space, and thus have effects which change the terrain of operation. As such, primary to police tactical operations is the attempt to maximize projection while limiting conflict, which generates increasingly resistant spaces. We can see this interaction in every riot, and even on the streets of most major cities on a constant basis; the movements of police generate conflict, this conflict generates a more resistant terrain, forcing the police to concentrate force, in the form of saturation policing and SWAT for example, which has the potential to generate more conflict and so on. The textbook example of this occurred in Mosul, after the invasion of Iraq, where David Petraeus was in charge of operations for the 101st Airborne14. At the beginning of the operations troops walked around in a non-defensive posture, attempting to identify reconcilable elements to support. But, the mere presence of troops caused friction, which eventually ended in a demonstration where Iraqi police shot 18 demonstrators, setting off a spiral of conflict. As conflict became apparent, and attacks on American troops began, troops had to move into a defensive posture, approaching every street as a possible site of conflict. This not only largely ended the attempt to find collaborators, but began to generate increased tension as house raids increased and people were stopped and searched at the checkpoints that began to sprout all over the town. This trajectory of conflict resulted in the attempt to separate insurgents from the “populace”15 through the construction of a wall around the town. A similar trajectory of events occurred during David Galula’s first experiments in counterinsurgency during the French attempt to suppress the uprising in Algeria; an operation that began by building schools quickly turned into an apprehension, information gathering and torture program. This tendency for counterinsurgency operations to generate overwhelming security saturations and armed occupation is somehow forgotten in the assumption of the maintenance of policing within Drury’s work and the defense of this work by his sympathizers. The state is an impossible attempt to make moments defined, and thus inert, to generate peace, which only occur to the degree that all conflict, and thus all action ends. The suggestions given by the Stott/Drury team are specifically centered around the deceleration of action, the containing of conflict and the prevention of antagonistic elements from having any escalatory presence in a terrain of conflict. On this level, we can say that not only does Drury’s work assume the perpetuation of the police, we can also say that the entire framework of de-escalation, whether being written by police sympathizers or pacifists, is necessary to the attempt to perpetuate the functioning of the police. In assuming the perpetuation of policing, even if this perpetuation is meant to occur through a more humanistic lens, there is always a primary imperative to maintain police operational capacity in a space. Somehow, this attempt to generate a more gentle form of crowd control is separated by the hierarchy of force that this attempt exists within. Drury’s work exists completely within an attempt to amplify the projection of the police into conflictual terrain, an odd attempt for someone that supposedly exists to antagonize conflict, through both the gathering of intelligence by encouraging the police to be in direct proximity to actions, while also suggesting ways to eliminate antagonistic influences within conflictual terrains. But, the net result of this attempt is not only to provide the police insight into ways that projection can be increased, but also ways in which conflict can be de-escalated, by deploying a low-level of force at the beginning of this hierarchy of security and force. If we follow Clausewitz and Schmitt on this point, all conflict involves an immediate and material differentiation of friends and enemies, and in assisting the police in the attempt to make police operations more effective and efficient16, Drury has made it clear what side of this antagonistic chasm he has decided to exist within. But this should come as no surprise, the very perspective of his work with the Stott team betrays this affinity for police operations through the very perspective through which his texts are written, from a cop’s-eye view, both on the level of the categories used and the spatial/visual perspective of the analysis itself. These texts are purported to be texts on police crowd control, and they are in a certain sense, they are written from the perspective of the police. If one reads Chaos Theory, the most infamous of the Drury texts, not only will one find that the language mimics the language one finds in police journals, which is not problematic in itself necessarily, but also does this through a mimicking of the categories of analysis that the police use, specifically the use of the anonymous unitary crowd. Now, there is a minor nuance added into this concept of crowd psychology, unlike in Canetti, where one is able to speak about factions within a crowd, but we have to be careful in thinking through these categories and understand that the only division between the reconcilable elements of a crowd and the irreconcilable elements in the crowd is the posture that certain particular people may take toward the police. As such, Drury’s work begins to construct a paradox; simultaneously obscuring the actual dynamics of tactical terrain through the unitary definition of the “crowd”, while at the same time operating within a framework structured around the immediate identification of friends and enemies in conflict, then assuming the operations of the police within this immediacy, betraying a sense in which the police are the sole point of reference in Drury’s analysis. This is an important clarification, as we can see, in this characterization of the crowd, as well as the perspective of the pieces, these texts operate only to the degree that police and policing are the sole reference point and point of departure. Ironically, this discourse on the tactics of the police completely obscures actual tactics. If we follow Clausewitz17 here, tactics are the immediate and material dynamics of conflict in time and space, and therefore, tactics are unable to be spoken about in a unitary way. In this sense there are a series of aspects of Stott/Drury’s work that become specifically absurd, including but not limited to the attempt to project tactics from one space, and one series of dynamics, into a completely different situation; in this specific case attempting to project police tactics used against soccer fas in Portugal into British G20 police tactical analysis. The tendency in this work to project one set of operations, in one time and space, into another terrain indicates the development of modeling, or an approach to tactical analysis in which one essentializes tactical dynamics within set models and then attempts to impose models in other times and spaces. This is not just to point to a problem in conceptual framework, this sort of imposition of model is fundamental to police tactics and the deployments of police operations into space. Policing functions to the degree that two aspects of operations are in place, content and logistics. The content of policing is simply the aesthetic content of the state transferred into operational plans. We can see this before any trade summit demonstration, the police plan operations long before anyone is even on the ground, based on past actions and their analysis of past actions, the demands of the security apparatus on a national level and localized objectives. This also occurs through crimeostats and other forms of predictive policing, where arrest numbers begin to dictate patrol patterns and force allocation in space. But, outside of the operations of these concepts, or the attempted operation of these concepts, they mean absolutely nothing. The second aspect of this operational modeling is always the actual operation itself, which is nothing other than the mobilization of a logistics of force to attempt to define moments. In the case of Drury, his work begins to develop a framework through which policing operational models could be understood but, this only matters to the degree that these models are imposed on space, or that these models are operated through actual policing, which they have, and that this operational theory only speaks in reductionistic modeling, rather than actual tactical dynamics. To construct the “crowd” as a conceptual object that theory can be built around implies that the “crowd” is an inert object that is predictable, definable and policable, and completely ignores the fundamental aspect of tactical analysis, at least in an insurgent operations theory, the particular dynamics of action in time and space, of which nothing essential or general can be said about. This particularity can never be made sense of in any total way. As Clausewitz, and later Schmitt, argue the particularity of actions are a dynamic that exist completely outside of theory; if all concepts are comparative, and moments are particular, meaning that they have never occurred before and will never occur again, then there is a necessary gap between concepts and moments. This infinite distance marks the very possibility of insurgency and the impossibility of actual policing, the impossibility of defining moments; but I guess it is pretty hard to get grants from police based organizations to do research around this premise. Drury’s work is suspect here, not only because of the form of publication and the uses of the work, but also because of the perspective of the texts, which are all written from behind the police and through the lens o the definable, predictable “crowd” as inert object. By “behind the police” I do not merely mean that the pieces have a politics that is framed in order to support the police, this is clear in the venues of publication, but also that the texts are literally written from behind police lines, from a perspective which is fundamentally grounded in a certain state-vision18, a perspective of oversight that mediates all action through the point of reference of the police, policing, and the continued logistical operation of policing. This contrasts, dramatically, from an insurgent’s-eye view, or a view from the other side of the police line, from a positionality of conflict and the amplification of conflict, and from a positionality grounded in the logistical rupture of policing, which must exist contrary to the concept of the unitary inert “crowd”, or any assumptions of mass at all19. In this form of operational theory20, one departs from the immediacy of conflict, the crisis presented by action, and the impossibility of policing projecting across the entirety of time and space and, rather than the attempt to foster de-escalation in Drury’s work, the attempt is to escalate, amplify crisis and multiply the terrains of conflict. This view can be seen in Che’s war journals, or Guillen’s Philosophy of the Urban Guerilla, in which the immediacy of struggle and the political intention is clear, and the posture toward policing is undeniable. The cop’s-eye view within Drury’s work is a result of a paradox within the claims in the text, in which the analysis of “crowds” is remarkably simplistic, but the insights into police tactics is relatively astute, almost by accident seemingly. If we should regard Drury’s work as relevant at all, it may be that these pieces are the theoretical backing of what police in England will begin to do in crowd control scenarios. This is an important point; even though it is clear that Drury is a collaborator, that does not make his work completely irrelevant, in operational theory research and tactical analysis material often comes from the “other side”. As Deleuze and Guattari claim, warfare always exists outside of the state apparatus, and is appropriated by the state apparatus, but always at the risk of the logistical capacity of the state to continue to function21; the trick is to figure out what material can be extracted and appropriated to more effectively understand what we are facing in conflict, and ways that this can be combated. We should view Drury’s work from this point forward as an inside view into the operational frameworks utilized by certain police, and through the lens that these pieces were obviously written, as a police sympathizer writing about the police. Drury’s defenders attempt to portray this intentional collaboration22 through a paradoxical understanding of academia, one which the author does a great job of pointing out. On the one hand his defenders, as Cop-Out discusses, are claiming that his work is an attempt to make policing less brutal, but that would require that police read his work and that it is relevant. But, on the other hand, they also dismiss this work as pointless academia that no one pays attention to, which is both a contradiction with the initial claim, and, if he is being invited to police conferences, obviously not the case. The author addresses this in a long discussion about the role of academics within the university, the absurdity of the claim of academic neutrality and the role of academics in producing “knowledge” for the state, all of which are apt critiques. But, in much of the language about the class position of the academic a series of important dynamics involved in this story are obscured, specifically the positionality of the university as mode of production, and therefore, the position of the academic as potential saboteur. While the author is correct to note that academia is still wage labor, and therefore not a uniquely radical site of possible engagement with modes of production, the discussion about class position,which is constructed in order to be able to support the argument that Drury is a bourgeois academic, is problematic. If we follow Marx’s argument in Capital23 the “working class” are those with proximity to, and control over the operation of, the means of production, in this case the university functions as a primary site of production in the late-capitalist economy, a site in which degrees, research and credentials are produced. Academia, if nothing else, is a means of production that, like all others, is operated through labor, in this case largely underpaid adjunct and graduate student labor, and can, through the assertion of this control over the means of production, also serve as a site of resistance. This is not to engage in some semantic game over the meaning of “workers”, rather, this is fundamentally important to understand in order to grasp the non-neutrality of academia, and thus the scale of Drury’s betrayal. It is not that we can think academia as a disinterested site in which discursive possibilities open up. Rather, the university is a means of production, and much of its dynamics correspond to the economic and political imperative of funders. Like the non-profit industrial complex, the university functions on grant funding, tuition and public funds, and as such, has increasingly become, especially in the age of austerity, framed around a quantity of production; the production of prominence, the production of degrees, the production of “useful” research, the production of journal papers and so on. It is not that Drury can claim neutrality in the process of doing this sort of work, specifically when grant funding is involved. Rather, like in all moments, the university involves conflict and a dynamic of conflict, and is largely formed through this; the only question is what one’s positionality in relation to that conflict is, whether one attempts to perpetuate this means of production, or whether one attempts to sabotage it. In choosing to sell out his politics in favor of his academic position, Drury chose a side. It is not that Drury is writing disinterested articles for disinterested journals, or that one can even claim that he was just incredibly oblivious to what purpose his work served. It is difficult to be published in academic journals, it is difficult to get grant funding and end up on a research team with any prominence, and the Stott team is prominent; these require intentional attempts on the part of an academic, the signing of contracts and the framing of grant proposals, none of these are passive processes. Drury, clearly, is attempting to hide behind arguments of “academic neutrality”, while these works are being targeted toward certain audiences, cops, and are actual writings with actual effects. The question of the university is never a question of the university as-such, if it were then Drury is just a symptom, someone doing a job. Rather, the question of the university, and the academic within the university, must center on the particular work of the particular academic and the tactical dynamics generated by a university which functions as a mode of production, both of skilled workers and research, as well as a site shaped by the inflows of capital generated by political and economic imperative, and funneled to those within the university that further this interest. Drury is able to maintain his position within the university, and even gain a modest level of prominence, go on research trips and publish in “respected” journals to the degree that he is not only not disruptive to the university as mode of production, but also to the degree that his work advances the operations of funders and readers, in this case the police. This raises a fundamental question about writing itself, and the relationship of writing to our political investments. As Sorel24 argues, the act of discursive production, in his case the production of the myth of the general strike, is still an action, and thus something that generates an immediate and material effect, as with all other actions. As such, we cannot remove the discussion of writing, in this case academic writing, from the question of the tactical effects of writing; writing is still immediate and material. In the case of Drury this effect becomes amplified in two ways. Firstly, the writing he is doing has, and had, potentially negative effects on the dynamics of insurgency, and the relationship of insurgency to policing. At a time where the police in England have been attempting to contain a rising tide of discontent that is increasingly pouring onto the streets, in the form of massive riots and direct actions, the effect of writing about these dynamics must be done with a specific sort of care. As something that is material, and something that has effects, we have to acknowledge that writing has the potential to dramatically alter the tactical terrain that we are engaging in as insurgents. Therefore, the act of writing, and specifically the act of the distribution of writing, has to take the dynamics of the terrain into account. Secondly, this sort of writing, writing about police operations, carries with it a specific sort of risk, the risk of providing a potential tactical insight to the “enemy”. All conflict functions along the lines of differentiation and schism, a fundamental material dynamic of antagonism between bodies and identities, in this case between “friends” and “enemies”, with both sides defining the dynamic between the two in conflict itself. These are not conceptual designations, or identity in the sense of the transcendental identities posited by identity politics, but merely function as a positionality in and toward conflict, a posture in struggle. These investments become all the more acute when the writing is being carried out in an intentional attempt to logistically disrupt the operations of those that one considers the enemy. This should be simple, but then again I think security culture should be simple, and it seems to be misunderstood constantly; one should not give relevant information to the “enemy”. On both counts Drury failed horribly, not only was this work directly intended to aid the “enemy”, but the venues of publication were directly chosen for this purpose, let alone the even more egregious participation in a training conference for the police on the methods Drury’s team developed. It is not that we can ever take solace in just assuming that Drury is tactically incompetent, naïve and completely devoid of any sort of insurgent discipline; rather, these works were intentionally published in these venues and written for a specific purpose, which necessitates a form of intentionality, and could never be the result of oversight. Beyond this point, the motivations for doing so are irrelevant, all that matters is that Drury chose a side, and it is not our side. This complete and utter failure on Drury’s part is not just borne from a poor framework of analysis that completely obscures tactics and operates from a cop’s-eye perspective, it is not just about a failure to understand the place of the academic within the means of production or about publication choices, which are dubious at best. Rather, what Drury, and his defenders, seem to fail to understand is that, in the attempt to write about police operations and tactical dynamics, it is specifically necessary to take into account the underlying material struggle that lies at the center of this work, and how, as a material struggle, this necessarily implies a delineation between friends and enemies in the immediacy of that struggle. This involves being extra sensitive to writing, and its resonances, and the need to think this action as one would think through the tactical implications of any other action. When writing about operations theory and doing tactical analysis it is essential to take both security and political trajectory into account. In other words, we have to assume that they are going to read our shit25. The point is to, therefore, maximize the antagonistic effect of the writing while limiting the ability of the enemy to derive beneficial insights from the work; this means being sensitive to how something is written, what information is being given out, what perspective and vision the piece is written from and what venue the work will appear. When writing about operational theory or tactics analysis , I will argue that it is alright to write about a series of things including the projection of possible police security operations in upcoming terrains of conflict from an analytic, and not prescriptive, perspective, theoretical pieces about “policing”, the development of weapons and the relationship of attempted police logistical coherence and terrains of conflict, historical pieces tracing the trajectory of the development of police tactics, analysis of actions that have already occurred and especially analyses of local tactical terrains26, of course all with an extreme eye toward security and possible readership. Notice how I will never veer into prescriptive discussions of possible actions one could take, and this is for a couple of reasons. Firstly, there are legal and tactical implications of suggestive tactical writing that I am not comfortable with, there are potential legal risks and telegraphing actions is just bad tactics; don’t do their intelligence work for them. Secondly, it is completely impossible to project the effects of, and terrain of, antagonistic actions which, to the degree that they are effective, serve to do nothing but generate contingency and disrupt police logistics. Specifically one (ahem…John Drury) does not write pieces for academic journals read largely by police on how police can be more effective in decelerating and containing conflict. It is important, when writing about operational theory, to write this from a particular perspective and posture toward conflict, emphasizing certain elements of the text, in a blatant attempt to antagonize conflict and amplify crisis. This sort of writing, in both tone and content, makes its political form clear; the analysis always comes from facing the police, from a clear position on the question of friends and enemies. This is not a call for rhetorical excess, we all know that there has been way to much of this in anarchist writing as of late, merely a subtle undercurrent in the perspective of analysis which shapes the tone, content and venue through which one writes. If we were to accept Drury/Aufheben/Libcom’s arguments we would, literally, have to believe that during the day John Drury is a harmless academic, doing nothing more serious than collaborating in the formation of future police strategy, while at night he magically transforms into a generally militant left-communist who writes for a far-left wing political journal, which has been good at times. As the author of Cop-Out argued in a previous intervention into this scandal27, Jekyll and Hyde indeed. Following the author, and his attribution of similar sentiments to TPTG, there does need to be a space for an insurgent discourse on operational theory and police operations, but it has to be done in the completely inverse way from the model presented by Drury, both on the level of conceptual framework and political investments. This work can be touchy, and has to be written and distributed with care, both for the security of the writers and analysts themselves, but also to prevent this analysis from being useful to the “enemy”, the police, state functionaries and their various lackeys. Most importantly, it is important to carry on this sort of work within the immediacy of struggle and the materiality of conflict, outside of this context all we are doing is pursuing an intellectual fascination. As such, this writing has to be intentional, targeted, positioned within the dynamics of struggle that we experience and politically uncompromising. This becomes much easier within an environment of mutual support and discursive engagement, and this discourse is absolutely necessary. Over are the days in which we can pretend that we can fight and “win”, for whatever that means, simply on the strength of convictions and feelings of self-righteousness, gone are the days where we rush from one campaign and action to another simply for reasons founded in political passion. An insurgent discourse on operational theory is useless outside of a materially intentional struggle, and the dynamics of that sort of concentrated conflict are cold, dispassionate and tactical. Our only relevance, as strategists and operational theorists, is to engage in a more or less effective discourse on the materiality of struggle and the dynamics of this conflict within immediate moments, if we obscure this then, at worst, we are writing from a perspective that ignores conflict, and at best, we are engaging in a discourse which in itself is nothing but academic nicety. To engage in material struggle, insurgency itself, means grounding analysis in the struggle itself, something that is absolutely necessary if we are going to leave the role of activist irrelevance and engage in insurgency. To transcend the politics of complaint and enter into material struggle requires nothing short of this. 1Those that carry out actions for the sake of acting, in a calculation separated from the tactical effectiveness of engagement on any given terrain. Activist mentalities and approaches to action are primarily based in acting from a position of passion and conceptual philosophical imperative, rather than from a point of departure in the immediacy of tactical dynamics. 2Some so-called anarchists in Pittsburgh still support Chris Boetie, who snitched people out to a federal grand jury in Washington DC, simply because he is a “friend” and a generally “good person”. 3Critique is useless in itself, outside of some attempt to hierarchically rank thought based in some problematic concept of “truth-value”; rather, it can only be useful to the degree that it can be appropriated in effective ways within a discourse or conflictual dynamic. 4It is sufficient, at this point in the controversy, to just characterize the actions of Libcom and Aufheben as sympathizing with collaborators. 5Stott, Drury, et al, 2009; The article itself has been pulled from the Jane’s Police Review website (policereview.com) in the last couple months, but links to the article can still be found online. 6Kettling, for those that are not familiar, is a strategy in which the police attempt to demobilize and contain a crowd by creating a wide perimeter around the crowd, and slowly closing it in to prevent the crowd from moving. The theory is that, through the deceleration of action and conflict, the energy of the crowd will be disrupted. 7Schmitt, 1985; In On The Crisis of Parliamentary Democracy Schmitt argues that the plane of engagement within the formal limits of the state is the attempt to functionally end conflict through the political process, which always maintains a conceptual unity that is materially impossible. Therefore, we have to create a separation between the rationalism of the conceptual unity of the political process and the attempt to actually operate the declarations of politicians, laws, as operational across time and space through policing, which is a material, immediate and particular dynamic, thus irrational. Note, irrationality is not being used in a pejorative way in this argument, and is only used terminologically to mark the space outside of the conceptual unity of the state, which can never function materially. 11This is the importance of checkpoints, which serve as ways to limit and control movement through space while also providing a logistical base to launch further incursions into space. We can see the importance checkpoints play in the Syrian uprising, where regime troops can only maintain control over some roads, and only through the use of checkpoints, which become frequent targets for attack. 15Of course within the assumption that “insurgents” and the “populace” were different. 16The term “attempt to” is the operative term here; I am not convinced, contrary to the author, that counterinsurgency tactics are overwhelmingly effective, or present much of a threat to us in conflict, to the degree that we move away from the seemingly pathological attachment many anarchists have to mass actions and concentrated numbers. As occupiers engage in counterinsurgency their footprint has to widen, and force has to be concentrated, limiting projection. There are two important aspects of this. First, it highlights the importance of asymmetric conflict in increasing uncertainty in terrain, preventing the movement of police, or at least forcing them to concentrate numbers in that movement. Secondly, counterinsurgency is remarkably fragile, a single attack, a single contingency, and the entire force posture has to shift into a defensive posture, which creates distance between the police and the terrain, in the sense that police operations become separated from the dynamics of terrain in their attempt to preserve their own functioning as a primary objective. 19In this sense, mass organizing can be a tactic, but the weaknesses of this tactic, on the streets, must be recognized. In the concentration of force one also limits the dispersal of force through space, making one legible and easily containable. Anyone that has followed the tactical trajectory of IMF demonstrations in DC between 2005 and 2011 can see both the problems of concentrated numbers and the advantages of dispersal, especially when coupled with disinformation and communications. 20Tactics theory is impossible if one cannot speak of the particularity of the dynamics of moments, and strategic thought obscures the particularity of material action. Therefore, following the Operational Theory Research Institute, an IDF based think tank, there is only the possibility of operations theory, or an analysis of action that departs from the immediacy of action, while consequently acknowledging that it can never speak of this, and focusing, as a result, on the external effects of, and interactions between action within a tactical terrain. 22From experience, it is completely impossible to have a piece in an academic journal and not know about it; there are copyright waivers that have to be signed by each author, peer-review processes and editorial feedback that all have to be dealt with by each author on a piece. Unless Drury is signing contracts in his sleep, there is no way he did not know where these texts were being published. 25As Eyal Wiezman notes in Hollowland, the reason that the work that came out of the IDF’s Operational Training Research Institute is so interesting is that they attempted to understand space as a fluid dynamic of conflict, and to do so worked primarily through anarchist texts, situationist writing, Deleuze and Guattari and writing by Mao and Che. 26For example, analysis of the local police annual report, comparisons of police force saturation and arrest levels, patterns in the allocation of force, and even things like local political structures and so on.